Other mahatmas, friends and relatives of the above hosts are requested to come to any of the above locations. JS, Dada Bhagawan na Aseem Jai Jaikar Ho! By the most divine grace of Shree Dada Bhagwan and all 33 Koti Devi-Devatas, 3rd and 4th generation Mahatmas are proud to celebrate the 33rd Guru Purnima celebration in the USA. We are all very humbled and honored to host Shree Dada Bhagwan’s Guru Purnima in the Smoky Mountains of East Tennessee. It is our utmost privilege to host Mahatmas from all over the world. We are extremely excited to celebrate this most auspicious occasion of Guru Purnima in the realm of divine grace of Param Pujya Shri Kanudadaji. We kindly urge ALL Mahatmas who have not yet registered for Guru Purnima to please do so ASAP so that we can plan for everyone accordingly. Registration will commence at 11AM at the Convention Center and will directly follow with lunch at 12PM. We kindly ask that everyone stops by the registration that will be located outside of the main hall. Please kindly note that there is no parking available at the Convention Center. We advise that all Mahatmas to please park their cars at their hotels and then walk to the Convention Center. All walking distance hotels and the Convention Center are very closely located so there won’t be much need for cars throughout the Guru Purnima celebrations. On Thursday, July 30, we will venture into the Great Smoky Mountain National Park. We have a scenic hike planned that will lead us to a beautiful 80 foot waterfall, Laurel Falls. A picnic for all youth will also be held after the hike. We advise all youth to please bring tennis shoes, comfortable outdoor clothing, sunscreen, and bug spray, etc. We will be travelling by bus to the hiking site and picnic as well. After much fun & Satsang in the Smokies, we will head back to the Convention Center after the picnic to washup and resume our Guru Purnima celebrations. "Weeping is nothing but the release of the suppressed store feelings within; it is a natural escape system of the body. It is beneficial when such weeping is just weeping without any anti-feelings or any hidden expectations." 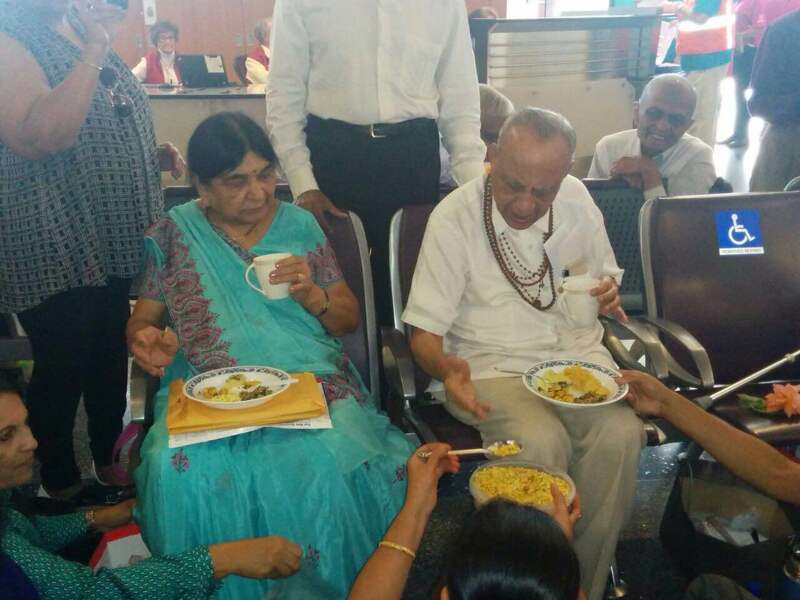 Param Pujya Shree Kanudadaji has reached safely and is in a very good health.